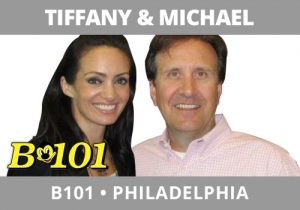 Bill Tafrow, the news guy on B101, Philadelphia’s Tiffany & Michael morning show is a first time homeowner. This was his first official Halloween having a house. Which compelled us to talk to neighbors to “coordinate forces” for the big candy giveaway. Bill has a very self-depracating sense of humor. Listen as the neighbor pokes fun at Bill, and what great character definition comes out of this chat.